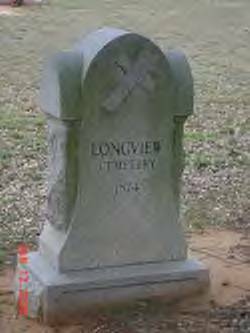 The Longview Cemetery is located off Farm Road 462, about 1 mile west of Bigfoot between Moore and Bigfoot. The cemetery is located on the west side of the community of Bigfoot. It contains numerous graves of soldiers who fought to free Texas from Mexico. Longview Cemetery Association holds bi-annual clean up days. The first Saturday of October and the last Saturday of April. The clean up starts at 8A.M. in the morning. All volunteers are welcome to participate. Donations are appreciated and go to help keep the Cemetery maintained. Burial after approval only. Contact: Longview Cemetery Association, P.O. Box 32, Bigfoot, Texas 78005 or submit your request on the Contact Us page. The links are provided as a service to help with research or to further knowledge of the history and origin of the Bigfoot Community. The links can change at any time without notice.